For most experienced backpackers out there, the checklist for hiking gears won’t be complete without a good backpacking pillow. 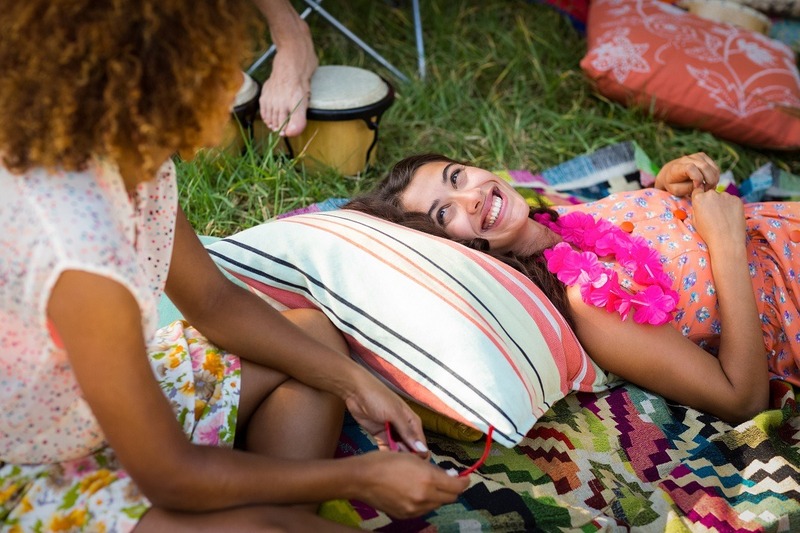 The backpacking pillow is arguably the most underestimated item when you pack your stuff before the trip, but trust us, a comfortable pillow can make a big difference to your trip. After all, at the end of a long, tiring day of trekking, who wouldn’t want to rest in a sleeping bag with a comfortable pillow? There are plenty of options for backpacking pillows on sale, so how do you find the best backpacking pillow for your need? Don’t worry; we have compiled a list of the best backpacking pillows below which are guaranteed to satisfy the most difficult backpacker. As you may have known, there are more than just one type of backpacking pillows. Each type is designed to appeal to certain interests and preferences of users. On the quest to find the right pillow for your trip, you will have dozens of options with both pros and cons to weigh. So how are you supposed to choose the best one given the myriads of pillow options? 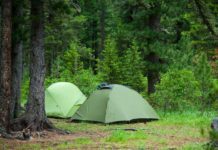 That sounds intimidating, but the good news is, there are criteria for a good backpacking pillow, and we are more than happy to give you essential tips and tricks in selecting the best backpacking pillow, and you can thank us later. So, what should we consider to secure the best pillow out there? 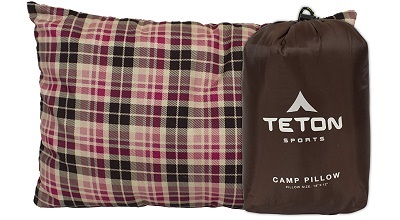 Like regular home pillows, there are different types of backpacking pillows. 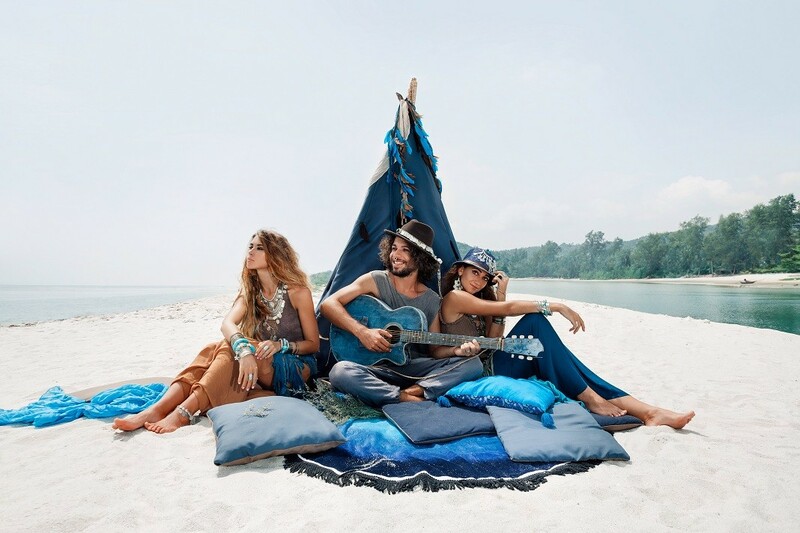 Intrinsically, backpacking pillows are categorized into three main types: compressible pillows, inflatable pillows, and hybrid pillows. The first type is compressible pillows. The name is already descriptive enough for us to picture the way this type of pillows works. Compressible pillows are normally filled with synthetic materials or foam to give you comfort when lying on your head. The materials used for filling the pillows may vary from manufacturers to manufacturers. One major feature of these pillows is that they offer a rather firm surface thanks to the inside being filled with synthetic fiber or foam. Regarding weight, they are a bit on the heavy side. If the inside is filled with down, the pillow will be less firm and heavy. However, it will be more expensive. Compressible pillows resemble our pillows in many ways, so you can rest assured that they will deliver the softest and most comfortable feel like sleeping with your pillows at home. They are also highly durable but are more expensive. They have one big downside, which is they are heavier than other types and thus take up more space. If you prefer to travel light, then this type may not work for you. The second type of pillows is the inflatable type. As the name suggests itself, inflatable pillows can be shrunk into a flat piece. 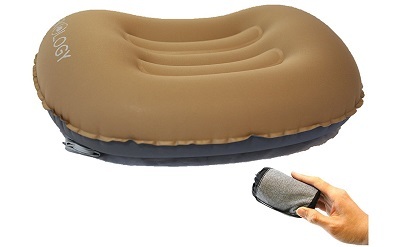 Inflatable pillows are widely used for trips both by car and by air, as they are extremely easy to carry. To use this type of pillow, air is blown into the pillow through a valve. Users can easily adjust the size of the pillow. Since the inside of the pillow is air, the inflatable pillow will be incredibly light. The pillow surface will also be firm. 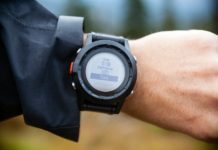 When it is not used, it can be deflated and fit right into the pocket of your backpack. This is one major advantage of inflatable pillows, particularly for those who like to travel light and save space for other stuff. Regarding price, inflatable pillows are usually more affordable than other types. So if you are looking for a cost-effective and compact option, you should definitely consider these pillows. But is there anything about these pillows that may make you think twice about getting one of them? There are in fact some disadvantages with this pillow. First off, they are not very comfortable compared to other types as they tend to make noise when you move your head. Secondly, they are not as durable as other types, and they can’t stand too much pressure either. Thirdly, you will have to blow air into the pillow to fill it up, so some efforts are required, unlike other types. Now that you have compressible pillows and inflatable pillows, each of which offers certain pros and cons. So is there anything in between so that we can have the best of both worlds? The answer is lucky yes, and it’s none other than the hybrid pillow. The hybrid pillows are a combined version of compressible and inflatable pillows. The hybrid pillow is heavier than its inflatable friend but lighter than the compressible one. 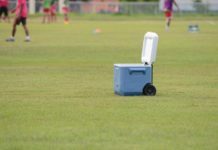 Regarding comfort, it offers more comfort than the inflatable but less than the compressible. But what makes the hybrid pillow special? The hybrid pillow borrows some features of the compressible and some from the inflatable pillows and combines them. 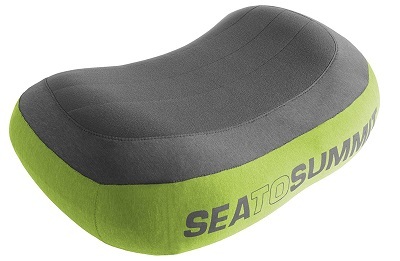 It has a compressed top like the compressible but an inflatable bottom to keep it lightweight. The more the hybrid pillow weights, the more comfortable it becomes. So with a hybrid pillow, you will need to sacrifice lightweighted-ness for comfort and vice versa. 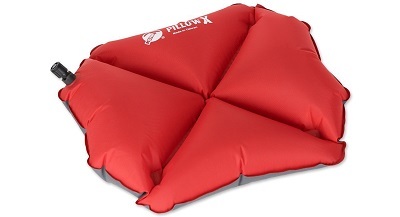 But overall the hybrid pillow is a fantastic choice for campers and solo backpackers. After learning about different types of backpacking pillows to decide which type fits you the most, you may want to consider the shape of your pillow. Some may argue that it doesn’t even matter to consider the shape, but in fact, the shape of the pillow can affect the level of pillow comfort. 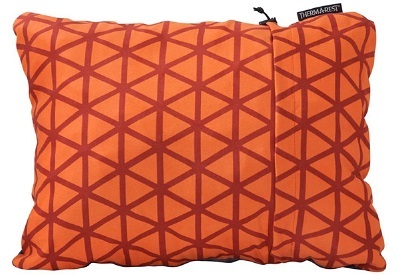 A lot of the backpacking pillows are rectangle-shaped, but some come with minor modifications to maximize users’ comfort. There are some pillows shaped in the form of the letter U, and some shaped like a tube. Some campers love thick pillows while some do not mind as much about the thickness, so check out the shape and try for yourself to see if it fits your definition of comfort. When it comes to pillow shopping, the size matters. You should carefully consider the size of the pillow when it is packed versus when it is unpacked. If what you want is to minimize the weight and space, go for the inflatable pillows as discussed above. 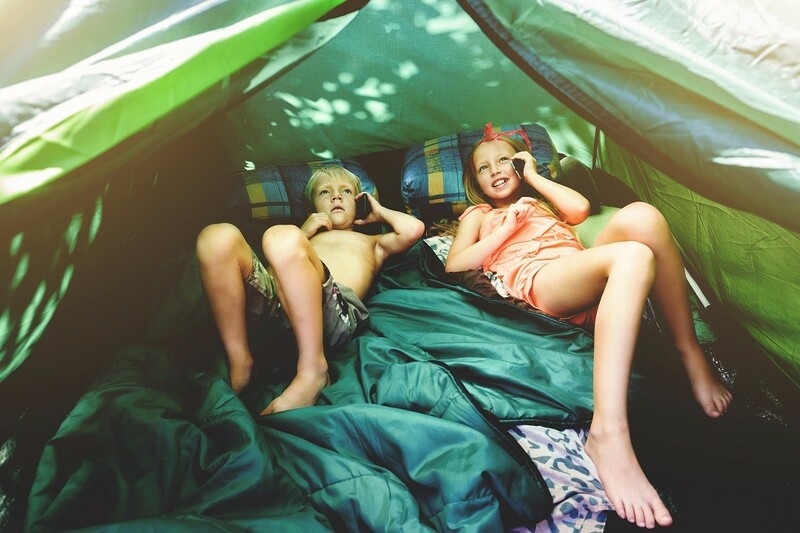 Most campers and adventurers like to keep the unpacked size of the pillow as small as possible, but with a small size pillow, it cannot fully support your head to keep you comfortable. Therefore, aim for the balance and do not try to save too much space to let go of the comfort you deserve. Another thing to consider when it comes to size is how easy it is to pack and unpack your pillow. A lot of campers underestimate the importance of the ease of packing and end up struggling with the packing and unpacking of their pillows. The tip is to test the process in advance, and not to forget to read the instructions carefully in advance. There are plenty of pillow fabric types out there, and it mostly comes down to personal preference. If you are sensitive or allergic to certain materials, make sure you check the fabric material upfront. The most comfortable material for the pillow fabric is cotton or polyester while the easiest to clean to the material is nylon, which is used on inflatable pillows. However, the nylon material can cause noise during your sleep when it comes in contact with your skin, so consider bringing along some pillowcase of your choice to prevent the noise. A pillowcase is also recommended for those who are concerned about hygiene. Your sleeping habit is also an aspect to consider when you purchase sleeping pillows. Some pillows are particularly customized for side sleepers, while most are made for back sleepers. 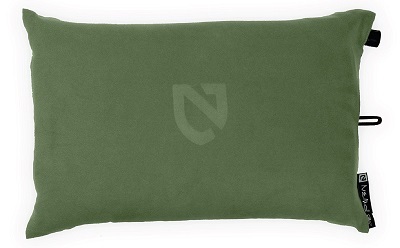 The best backpacking pillow should be able to fully support your head while relaxing your neck and back. Also, if you have some health problems associated with sleeping, make sure you seek consultation with experts if needed. The last thing to consider is the fillings of your pillow. How the pillow is filled to affect the feel, the comfort and the ability to be adjusted. You can refer back to the types of pillows mentioned above for the full list of types of fillings namely the down feather fillings used for compressible pillows, a synthetic fiber used for compressible pillows or mixed materials. The rule of the thumb is the heavier the pillow is, the more comfortable it makes you feel. So experiment around with all the types and explore which type of fillings works best to your satisfaction. 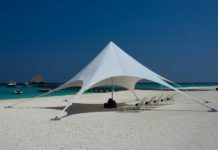 We hope that our post has been informative and helpful for you in choosing the best backpacking pillow. 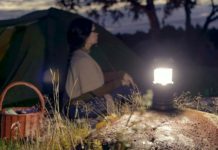 A good camping or trekking trip can’t be completed without the companion of a good backpacking pillow, among other things such as a tent or a sleeping bag. Think about how great it is to stay warm in a tent with your comfortable pillows after a long day of outdoor hiking and do not hesitate to reward yourself with the best one.